Youth being trained on seed production. 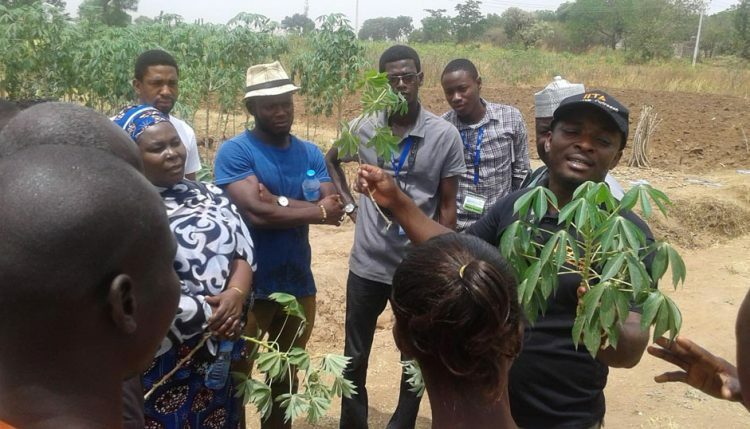 The training for cassava was held at the IITA station in Abuja and was anchored by the ATASP-1 cassava specialist, Richardson Okechukwu. The training for sorghum was held at the IITA station in Kano and was anchored by the ATASP-1 sorghum specialist, Hakeem Ajeigbe, while the training for rice was held at the National Cereals Research Institute (NCRI), Badeggi in Niger State and was anchored by the ATASP-1 rice specialist, Philip Idinoba. The training participants who were drawn from the seven states where ATASP-1 is being implemented—Enugu, Anambra, Niger, Kano, Jigawa, Sokoto and Kebbi—went through rigorous classroom and field training practical sessions including site selection, land preparation, plant density, fertilizer requirement and applications, weeding and plant protection, harvesting and transportation, storage, variety identification, and characterization of pests and diseases. In addition, the National Seed Council, the agency of the Federal Government vested with the power to certify seeds and to accredit seed companies in Nigeria, also ran sessions on seed quality control and certification. The climax of the training was the session on seed enterprise, where participants were exposed to the huge business potential in seed production, including how to promote and sell. 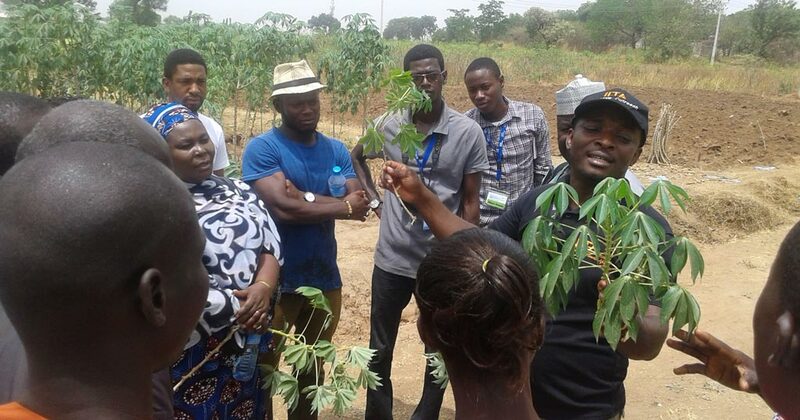 “In my 10 years of growing cassava, I never knew that we grow seedlings. I never knew about cassava diseases, and I never knew the difference between varieties. This training taught me all of that and I will start producing seed this year,” a participant from Lapai in Niger State, Ismaila Mohammed said. In his opening remarks, the ATASP-1 Outreach Program Coordinator, Gbassey Tarawali charged the participants to take advantage of the training to succeed in the seed business.